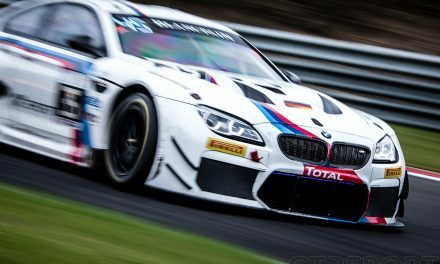 With only Blancpain GT Sprint Series and International GT Open holding races, it was a quiet weekend for GT motorsports ahead of the 24 hours of the Nurburgring. Missing the season opener and the first practice session at Brands Hatch–both because of crashes–didn’t stop the WRT Audi team of Laurens Vanthoor and Robin Frijns from dominating race day. The superduo took pole position and both race wins. In the qualifying race it started as a two-way battle between WRT and the Reiter Lamborghini of Nick Catsburg and Albert von Thurn und Taxis, but the German team fell back after a drive-through penalty for speeding in the pits. 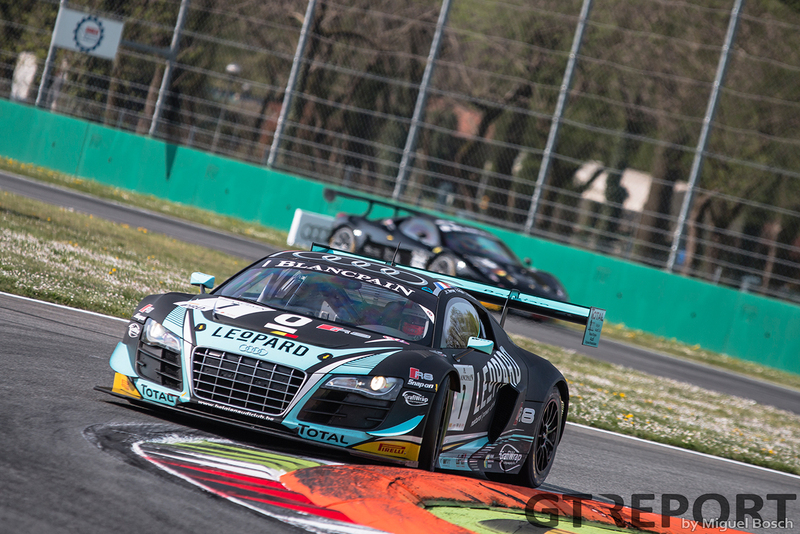 Behind the leading WRT a group of cars formed that fought to take over second position from WRT Audi R8 LMS ultra GT3 riders Christopher Mies and Enzo Ide. The Belgian managed to hold off the group of cars, but was handed a post-race penalty for a pit stop infraction, demoting the team to ninth place. Race two was another Vanthoor-Frijns show, but saw lots of action behind them. Coming back from their penalty, Catsburg and Von Thurn und Taxis stormed to fifth place with some excelling racing in the Lamborghini. Rob Bell and especially the always exciting to watch Kévin Estre wanted to do better than fifth place and battled hard to take second place away from the Brazilian BMW team. The Attempto McLaren squad succeeded, but a slow pitstop meant that Rob Bell had to start over. The Brit eventually had to settle for third place. At the end of the weekend Vanthoor and Frijns took over the lead in the championship, courtesy of two powerful drives on Sunday, going into the weekend with zero points out of zero starts. 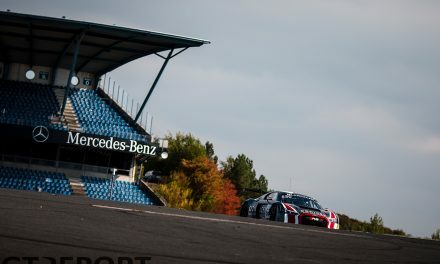 The third and fourth round of the International GT Open were held at the circuit of Estoril. 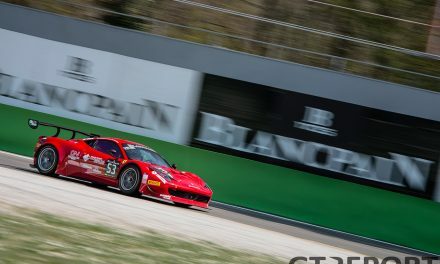 Victory in the first race was taken by Ezequiel Perez Companc and Raffaele Giammaria in the #90 AF Corse Ferrari 458 Italia GT3, while Emiliano López and Matías Russo won the second race in their #15 Baporo Motorsport Ferrari 458 Italia GT3. 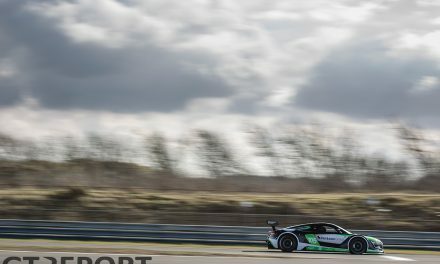 The #22 Balfe Motorsport Ferrari 458 Italia GT3 of Phil Keen and Shaun Balfe started the first race from pole position and maintained the lead at the start, ahead of Giammaria. The two Ferrari’s built a gap to the cars behind, until the driver changes. Keen and Balfe lost a lot of time in pitlane and finished their race in sixth place. Pérez Companc took over the lead and didn’t give it away, despite having the body of his car damaged. Second place was taken by Alessandro Balzan and Nicola Benucci in the #3 Scuderia Villorba Corse Ferrari, ahead of the second AF Corse Ferrari of Filipe Barreiros and Francisco Guedes. Polewinner Alessandro Balzan led the field into the first corner in race two, closely followed by Álvaro Parente in the Teo Martin Motorsport McLaren 650S. The two pulled away easily from the other cars, but surprisingly, Balzan visited the pits after just eight laps with a problem with the car. After a safety car and all the pitstops, the AF Corse Ferrari of Pasin Lathouras emerged in the lead, in front of the Baporo Motorsport car of Matías Russo. Russo managed to pass Lathouras and went to take his first victory of the season, together with his co-driver Ezequiel López, followed by Lathouras and Michele Rugolo and the Balfe Motorsport Ferrari of Shaun Balfe and Phil Keen.